Isaac Sissons is the son of a farm labourer of Leaconfield, near Beverley. In his parents’ humble home the Wesleyans held services for fifty years. He was converted in 1860, at the age of twenty-two, in a thatched cottage at Water. 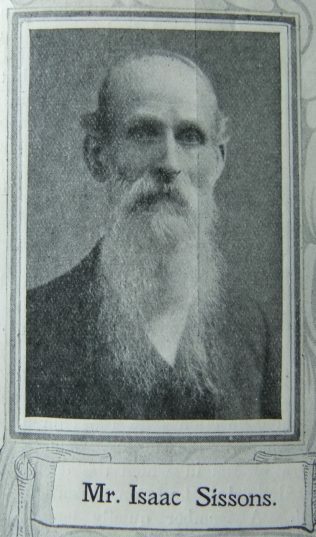 Coming to Leeds in 1868, he, with others, missioned Woodhouse Carr and founded the Meanwood Road Society. Treasurer for the Trustees for thirty-six years, he now rejoices that no successor will have to bear the burdens that he has borne. A successful Sunday School teacher and local preacher for nearly fifty years he uses chiefly two books – his experience and his Bible. Humble and childlike in spirit, communion with God is very real, holy and a delightful privilege. Isaac was born abt 1838 at Leaconfield, Yorkshire, to parents William and Elizabeth. William worked the land. Census returns identify the following occupations for Isaac. His obituary records that his was a striking and well known figure. Tall – rather frail in appearance – he had no ungraceful curve in his body. His long, flowing beard gave to him the likeness to a Patriarch. Isaac married Ann Elizabeth Stephenson (abt1838-1893) on 23 November 1867 at Warter, Yorkshire. Census returns identify seven of eight children. 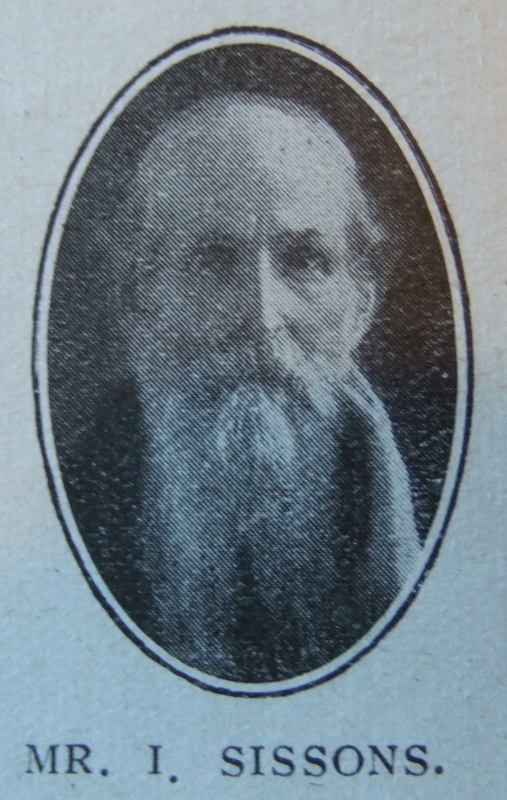 Isaac died on 21 December 1922 at Leeds, Yorkshire.